Dr Henrik Stotz from the University’s School of Life and Medical Sciences is leading a new Marie Curie Fellowship research project to understand what affects the resistance genes in rapeseed crops. But why should the failure of rapeseed crops matter to us? We’re all familiar with the fields of yellow-flowering plants that we see from late April onwards – the rapeseed crops. 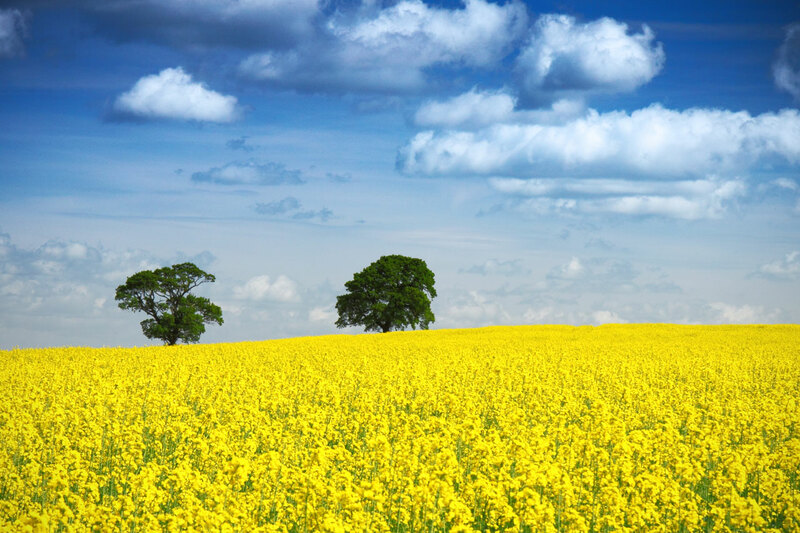 Traditionally, rapeseed was grown for the production of lamp oil and also for use in soaps. But today, rapeseed crop production has been growing rapidly - providing animal feed, vegetable oil for human consumption and also for use as a biofuel. So, the failure of rapeseed crops is very important to us all. It’s not just an economic problem for the farmers; it is a major concern for food security as well as for biofuel production. This drives an urgent need to develop crops that suffer fewer losses from diseases yet still produce good sustainable harvests. Some types of rapeseed have developed resistance genes to prevent infection from the fungus that causes phoma stem canker – the major cause of rapeseed failure. However, these resistance genes can become ineffective through changes in the genes of the fungus. This research will help to understand how this happens and to develop strategies for deploying crop resistance for rapeseed – with a view to seeing how it can be applied to a wide range of crop systems. The project “DURABLE RESISTANCE - Understanding factors affecting durability of crop resistance genes" is funded from the European Union Seventh Framework Programme (FP7/2007-2013) under grant agreement n° 302202. Spring: new beginnings, new career for you?